If you measure a new bike, the length is all same. The older bikes like . 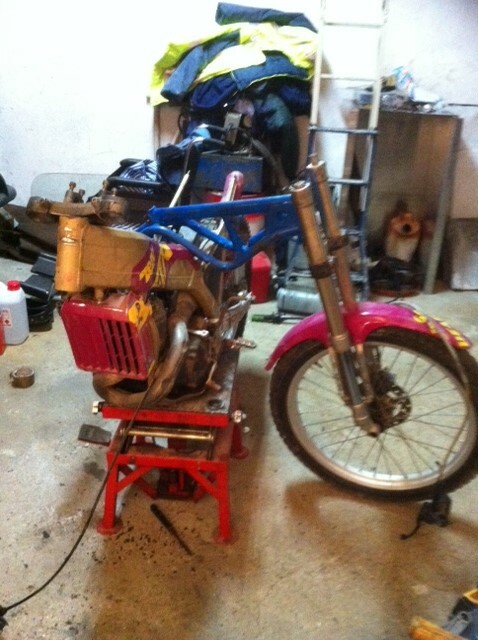 Bultaco, Montesa were shorter and the same as Mecatecno). Do you like my guitar? The Mecatecno frame is only 3.1 lilograms!!!!! 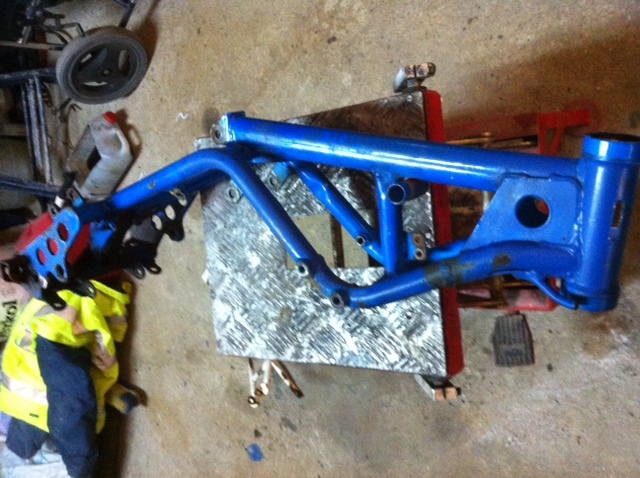 Here you can see the Mecatecno frame with the Beta swinging arm in place. 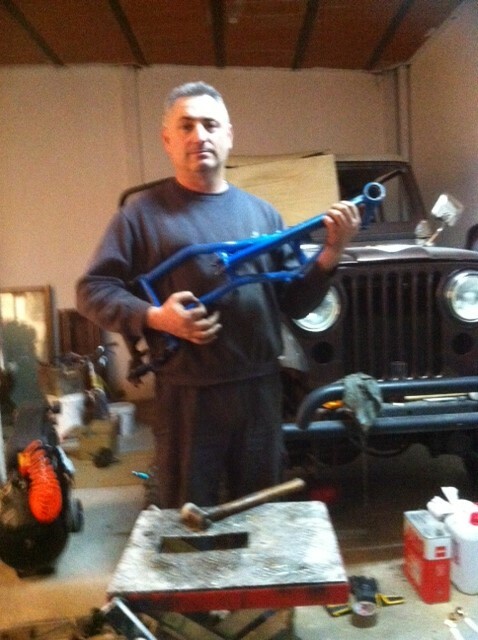 The original Mecatecno frame is nearest the photographer. Hi James, today worked very hard!!! 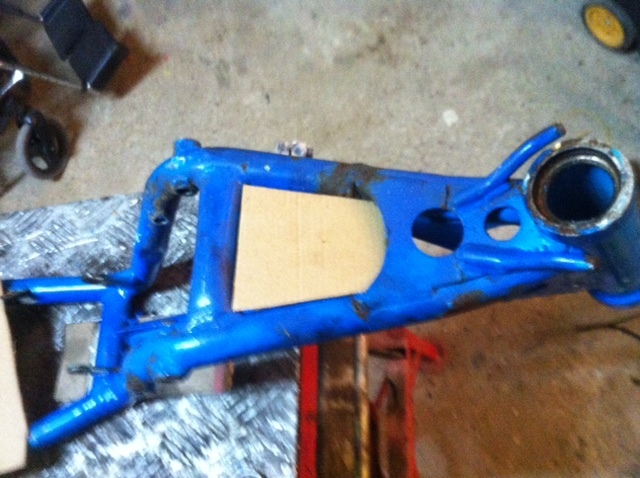 Repair Mecatecno frame. Beta is dissabled and check is possible to instal some Beta parts in Mecatecno. In this moment only is my idea. You can see an example which proves the hard life this motorcycle has had. 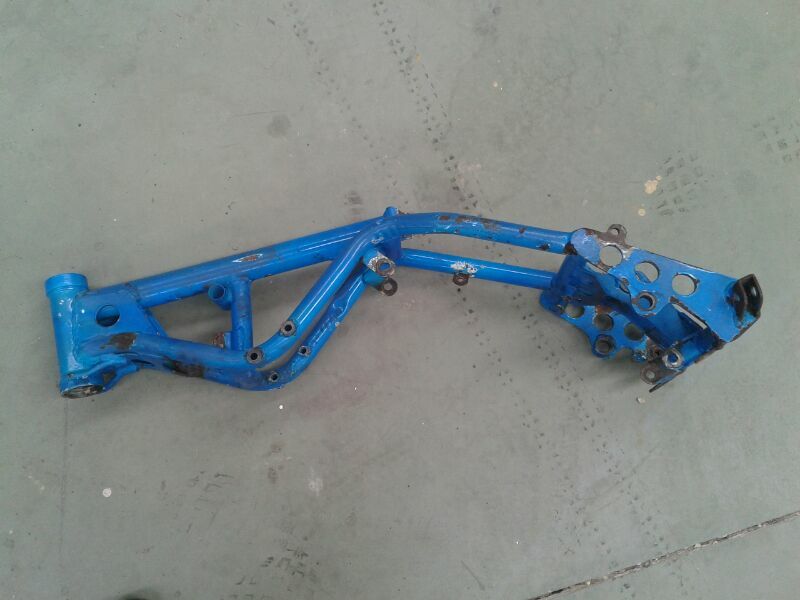 The frame is entirely twisted and Jose has to beat it hard to get it to behave and go back into shape :)Hi James, yesterday have discovered the chassis is disfigured and out of shape. 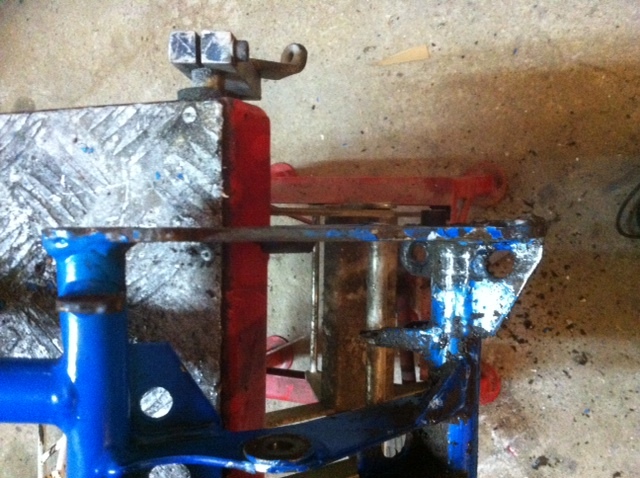 Also, the chassis in the bottom right due to a fall, is bent inward by foot support. 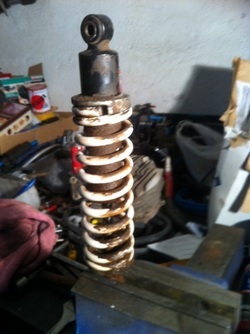 This old Beta have broken crankshaft. It is a gift from my friend. 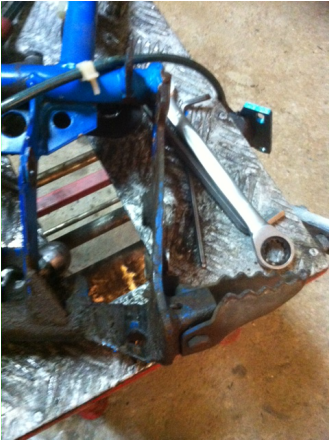 The forks are, and work in excellent condition but bars and bottles are more one millimeter in diameter. 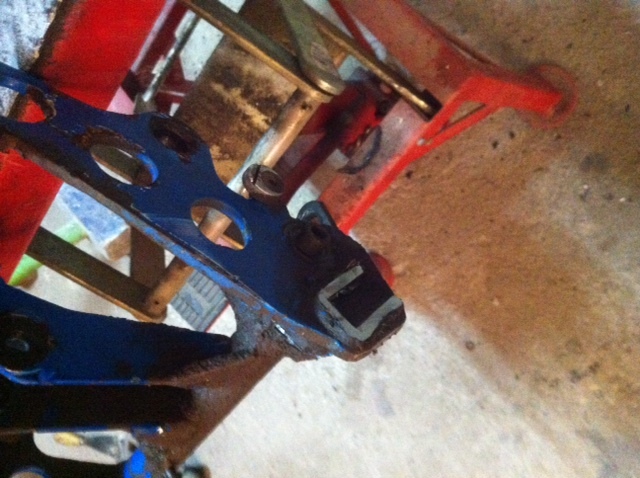 For this reason I must fit the entire steering system complete( fastening straps). Mecatecno shaft weel is identical in diameter. 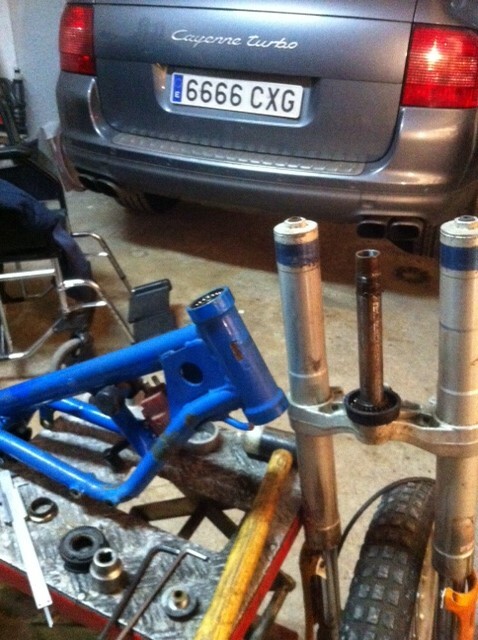 Just need only new spacers so wheel is in the center fork. 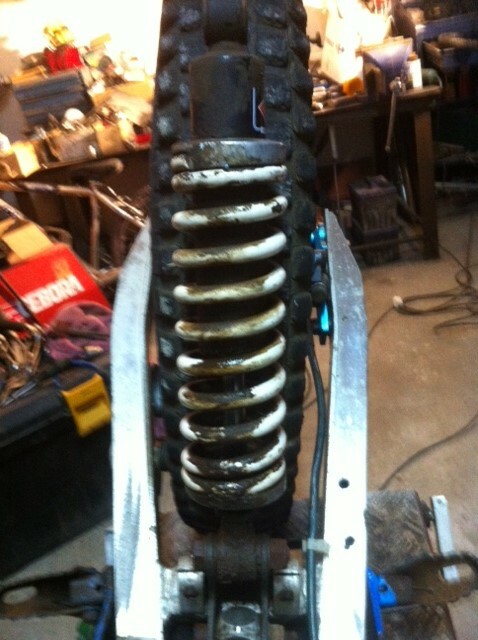 If repaired fork Foral first, not install on the motorcycle Beta fork and no worker free. Hi James, here have located Beta Zero fork in very good condition. The measures is exactly to Foral fork. 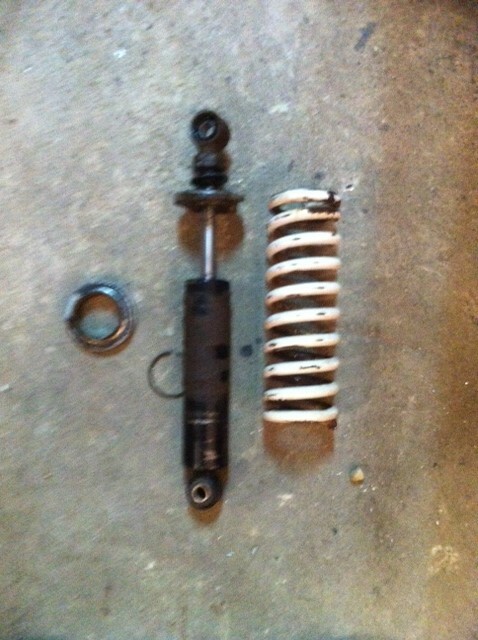 I can use this unit instead which will give me time to repair the original Foral. 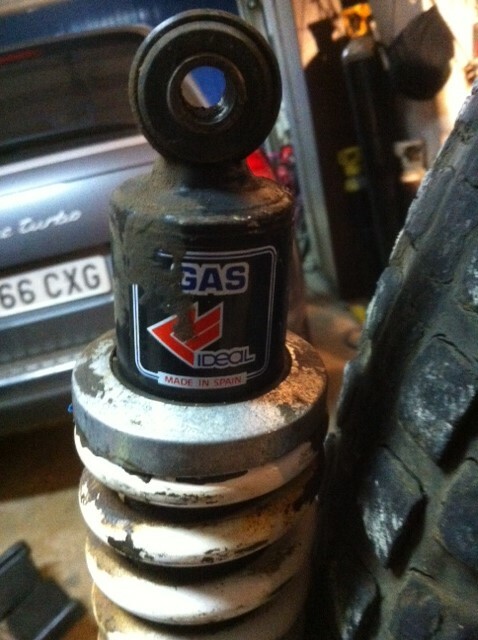 The rear shock is in Madrid a new unit. 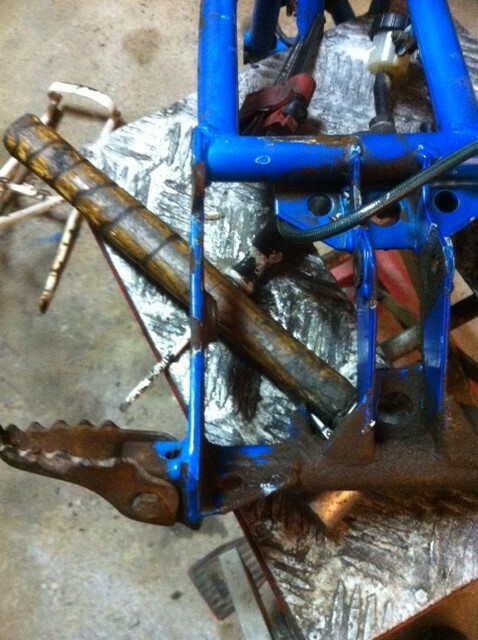 The original Foral front fork work good but chromed is scratched and oxidated. Jose discovers that "IDEAL" the company that made the orinal suspension are still in business and decides to buy a shock from them.